How Mitt and Ann made millions—and Mitt’s hedge fund donors made billions—from the auto-industry rescue that he condemned. This investigation was supported by the Investigative Fund at the Nation Institute and by the Puffin Foundation. Elements of it appear in Palast’s new book, Billionaires & Ballot Bandits: How to Steal an Election in 9 Easy Steps (Seven Stories). Research assistance by Zach D. Roberts, Ari Paul, Nader Atassi and Eric Wuestewald. Mitt Romney’s opposition to the auto bailout has haunted him on the campaign trail, especially in Rust Belt states like Ohio. There, in September, the Obama campaign launched television ads blasting Romney’s November 2008 New York Times op-ed, “Let Detroit Go Bankrupt.” But Romney has done a good job of concealing, until now, the fact that he and his wife, Ann, personally gained at least $15.3 million from the bailout—and a few of Romney’s most important Wall Street donors made more than $4 billion. Their gains, and the Romneys’, were astronomical—more than 3,000 percent on their investment. Delphi, once the Delco unit of General Motors, was spun off into a separate company in 1999. Alone, Delphi foundered, declaring bankruptcy in 2005, after which vulture hedge funds, led by Silver Point Capital, began to buy up the company’s old debt. Later, as the nation’s financial crisis accelerated, Singer’s Elliott bought Delphi debt, as did John Paulson & Co. John Paulson, like Singer, is a $1 million donor to Romney. Also investing was Third Point, run by Daniel Loeb, who was once an Obama supporter but who this summer hosted a $25,000-a-plate fundraiser for Romney and personally donated about $500,000 to the GOP. As Delphi was in bankruptcy, making few payments, the bonds were junk, considered toxic by the banks holding them. The hedge funds were able to pick up the securities for a song; most of Elliott’s purchases cost just 20 cents on the dollar of their face value. Altogether, in direct and indirect payouts, the government padded these investors’ profits handsomely. The Treasury allowed GM to give Delphi at least $2.8 billion of funds from the Troubled Asset Relief Program (TARP) to keep Delphi in business. GM also forgave $2.5 billion in debt owed to it by Delphi, and $2 billion due from Singer and company upon Delphi’s exit from Chapter 11 bankruptcy. The money GM forgave was effectively owed to the Treasury, which had by then become the majority owner of GM as a result of the bailout. Then there was the big one: the government’s Pension Benefit Guaranty Corporation took over paying all of Delphi’s retiree pensions. The cost to the taxpayer: $5.6 billion. The bottom line: the hedge funds’ paydays were made possible by a generous donation of $12.9 billion from US taxpayers. One of President Obama’s first acts in office, in February 2009, was to form the Auto Task Force with the goal of saving GM, Chrysler, their suppliers and, most important, auto industry jobs. Crucial to the plan was saving Delphi, which then employed more than 25,000 union workers. Obama hired Steven Rattner, himself a millionaire hedge fund manager, to head the task force that would negotiate with the troubled firms and their creditors to avoid the collapse of the entire industry. In Rattner’s memoir of the affair, Overhaul, he describes a closed-door meeting held in March 2009 to resolve Delphi’s fate. He writes that Delphi, now in the possession of its hedge fund creditors, told the Treasury and GM to hand over $350 million immediately, “because if you don’t, we’ll shut you down.” His explanation was corroborated by Delphi’s chief financial officer, John Sheehan, who said in a sworn deposition in July 2009 that the hedge fund debt holders backed up their threat with “an analysis of the cost to GM if Delphi were unwilling or unable to provide supply to GM,” forcing a “shutdown.” It would take “years and tens of billions” for GM to replace Delphi’s parts. At that bleak moment, GM had neither. The automaker had left the inventory of its steering column and other key components in Delphi’s hands. If Delphi laid siege to GM’s parts supply, the bailout would fail and GM would have to be liquidated or sold off—as would another Delphi dependent, Chrysler. Another outcome may have been possible. In June 2009, the Treasury and GM announced a bailout deal they’d crafted over months with the cooperation of the United Auto Workers. GM would take back control of Delphi via a joint venture with Platinum Equity, a buyout firm led by billionaire Tom Gores, a self-described “Michigan man” who grew up in the shadow of Delphi’s Flint plant. The final Platinum plan, according to Delphi’s official statement posted on Marketwire in June 2009, lists plants in fourteen locations slated for closing, which would have left several of Delphi’s plants still in business, still unionized—and still in the United States. Crucially, the deal would have returned key Delphi operations, including the production of steering columns, directly to GM. The hedge funders stunned Delphi by refusing to accept the Platinum plan. Harshly criticizing it as a “sweetheart deal,” they demanded 45 cents on the dollar for the debt bonds they had bought on the cheap—more than double what the Treasury-brokered Platinum deal would pay. Then the Singer-led debt holders swooped in. After the Platinum deal was announced, Elliott Management quietly tripled its holdings of Delphi bonds, purchased at just one-fifth of their face value. By joining forces with Silver Point, Paulson and Loeb, Singer now controlled Delphi’s fate. The hedge funders said no, since they had a billion-dollar ace up their sleeve. According to Sheehan, Singer and company’s controlling interest allowed them to force the bankruptcy judge to hold an auction for all of Delphi’s stock. The debt holders outbid the Michigan Man’s team, offering $3.5 billion. But it wasn’t $3.5 billion in cash: under the rules of Chapter 11 bankruptcy, debtors-in-possession may bid the face value of their bonds rather than their current market value, which at the time was significantly lower. Under the Platinum deal, Delphi would have had much more in real money for operations: $250 million in cash from Gores, another $250 million in credit, and $3.1 billion in “exit financing” from GM, all of it backed up by TARP. Still, under Chapter 11 rules, the Platinum bid was technically lower. And that’s how Singer’s funds—which included the Romneys’ investment—came to buy Delphi for the equivalent of only 67 cents a share. Even before the hedge funds won their bid for Delphi’s stock, they were already squeezing the parts supplier and its workforce. In February 2009, Delphi, claiming a cash shortage, unilaterally terminated health insurance for its nonunion pensioners. But according to Rattner, the Treasury’s Task Force uncovered foggy accounting hiding the fact that the debt holders had deliberately withheld millions of dollars in cash sitting in Delphi accounts. Even after this discovery, the creditors still refused to release the funds. The savings to the hedge fund billionaires of dropping retiree insurance was peanuts—$70 million a year—compared with the profits they later extracted from Delphi. But the harm to Delphi retirees was severe. Bruce Naylor of Kokomo, Indiana, had been forced into retirement at the age of 54 in 2006, when Delphi began to move its plants overseas. Naylor’s promised pension was slashed 40 percent, and his health insurance and life insurance were canceled. Though he had thirty-six years of experience under his belt as an engineer with GM and Delphi, he couldn’t find another job as an engineer—and he doesn’t know a single former co-worker who has found new employment in his or her field, either. Naylor ended up getting work at a local grocery store. That job gone, he now sells cars online for commission, bringing in one-fifth of what he earned before he was laid off from Delphi. Even with his wife Judy’s income as a nurse, it hasn’t been enough: the Naylors just declared bankruptcy, and their home is in foreclosure. After the hedge fund takeover of Delphi, the squeeze on workers intensified through attacks on their pensions. During its years of economic trouble, Delphi had been chronically shorting payments to its pension funds—and by July 2009, they were underfunded by $7 billion. That month, Singer’s hedge fund group won the bid for control of Delphi’s stock and made clear they would neither make up the shortfall nor pay any more US worker pensions. Checkmated by the hedge funders, the government’s Pension Benefit Guaranty Corporation agreed to take over Delphi’s pension payments. The PBGC would eat the shortfall. and now loaded with subsidies from GM funded by TARP—the company’s market value rose from zero to approximately $10.5 billion today. These people are real. But it’s clear that these former workers, now struggling to scrape by, were hardly in the position to put together $7 million in ad buys to publicize their plight. The ads were paid for by Let Freedom Ring, a 501(c)(4) nonprofit advocacy organization partially funded by Jack Templeton Jr., a billionaire evangelical whose foundation has sponsored lectures at the Manhattan Institute (the anti-union think tank whose board of directors includes not only Singer but Loeb). The ads also conveniently leave out the fact that the law sets specific ceilings on what the PBGC is allowed to pay retirees—regardless of what they were originally owed. In June 2011, Charles and David Koch hosted a group of multimillionaires at a retreat in Vail, Colorado. In secret recordings obtained by investigator Brad Friedman, the host, Charles Koch, thanks Singer and Templeton, among others, for each donating more than $1 million to the Koch brothers’ 2012 anti-Obama election war chest. Of course, it wasn’t Obama who refused to pay the Delphi pensions; it was Paul Singer and the other hedge funds controlling Delphi. The salaried workers’ pensions were, after all, an obligation of Delphi’s owners, not the government. Delphi’s stockholders—the Romneys included—had one easy way to rectify the harm to these pensioners, much as GM did for its workers: just pay up. meaning its owners could have made the pensioners whole and still cleared a profit. Instead, in May, Delphi chose to use most of those funds to take over auto parts plants in Asia at a cost of $972 million—purchased from Bain Capital. That leaves one final question: Exactly how much did the Romneys make off the auto bailout? Queries to the campaign and the Romneys’ trustee have gone unanswered. And Romney has yet to disclose the crucial year of his tax returns, 2009. But whatever the tally, it was one sweet deal. The Romneys were invested with Elliott Management by the end of 2010, before Delphi was publicly traded. So, in effect, they got Delphi stock at Singer’s initial dirt-cheap price. When Delphi’s owners took the company public in November 2011, the Romneys were in—and they hit the jackpot. It is reasonable to assume that Singer treated the Romneys the same as his other investors, with a third of their portfolio invested in Delphi by the time of the 2011 initial public offering. This means that with an investment of at least $1 million, their smallest possible gain when Delphi went public would have been $10.2 million, plus another $10.2 million for each million handed to Singer—all gains made possible by the auto bailout. But that’s just the beginning. Since the November 2011 IPO, Delphi’s stock has roared upward, boosting the Romneys’ Delphi windfall from $10.2 million to $15.3 million for each million they invested with Singer. But what if the Romneys invested a bit more with Singer: let’s say a mere 3 percent of their reported net worth, or $7.5 million? (After all, ABC News reported—and Romney didn’t deny—that he invested “a huge chunk of his vast wealth” with Singer.) Then their take from the auto bailout so far would reach a stunning $115 million. The Romneys’ exact gain, however, remains nearly invisible—and untaxed—because Singer cashed out only a fragment of the windfall in 2011. And the Singer-led hedge funds have been able to keep almost all of Delphi’s profits untaxed by moving Delphi’s incorporation from Troy, Michigan, to the Isle of Jersey, a tax haven off the coast of France. 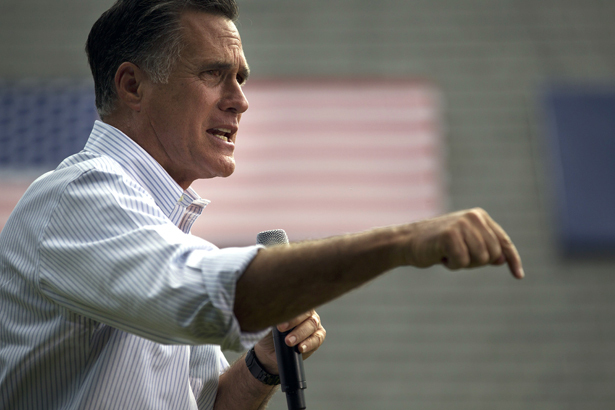 The Romneys might insist that the funds were given to Singer, Mitt’s key donor, only through Ann’s blind trust. But as Mitt Romney said some years ago of Ted Kennedy, “The blind trust is an age-old ruse, if you will. Which is to say, you can always tell a blind trust what it can and cannot do.” Romney, who reminds us often that he was CEO of a hedge fund, can certainly read Elliott Management’s SEC statements, and he knows Ann’s trust is invested heavily in a fund whose No. 1 stake is with Delphi. Nevertheless, even if the Romneys were blind to their initial investment in Elliott, they would have known by the beginning of 2010 that they had a massive position in Delphi and would make a fortune from the bailout and TARP funds. Delphi is not a minor investment for Singer; it is his main holding. To invest in Elliott is essentially a “Delphi play”: that is, investing with Singer means buying a piece of the auto bailout. Mitt Romney may indeed have wanted to let Detroit die. But if the auto industry was going to be bailed out after all, the Romneys apparently couldn’t resist getting in on a piece of the action. In last week’s issue, Lee Fang revealed how Mitt Romney’s son Tagg and investors in his firm Solamere Capital can cash in if his father wins.